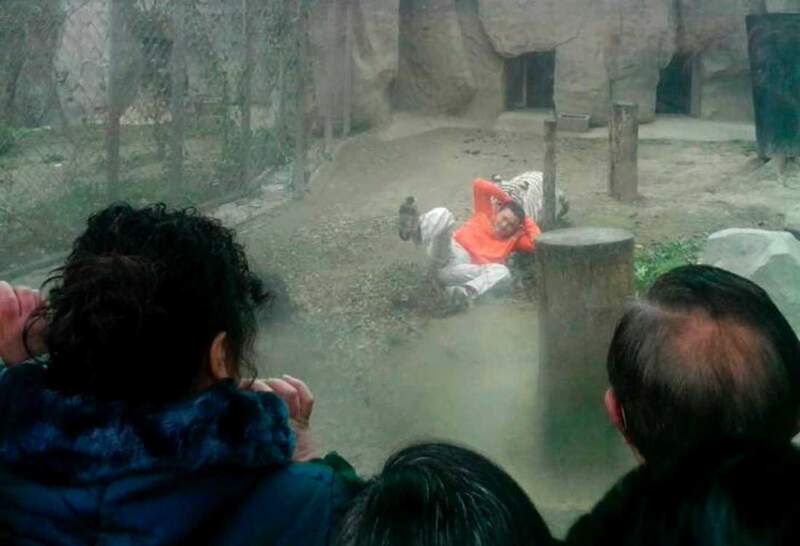 Entering the tiger enclosure at the Chengdu Zoo in China’s southwest Sichuan province, a man made vigorous, but unsuccessful, attempts to entice the animals to eat him, a Chinese newspaper reported on Tuesday. “I asked them to bite me and let them eat my meat, and so I did not fight back,” 27-year old Yang Jinhai told the Chengdu Business Daily. Yang, who according to his brother suffers from mental health issues, climbed a tree to breach the enclosure. Stunned visitors witnessed how he made “exaggerated movements” for 20 minutes to tempt the Bengal tigers, but while scratching him and dragging him by the back of his neck, the beasts refused to devour him. Zoo keepers finally tranquilized the tigers in order to rescue Yang, who is now being treated for depression.